Don't forget myself and my colleagues will be running the Boxing Day bus again this year, hourly service between Torquay Castle Circus and Paignton Library, ten to the hour from castle circus twenty past from Paignton between 10 and 4, we are planning on using my privately owned bus, Volvo B6, P701BTA, it's a free bus so if you need to get around on the day, pop along and use the bus!!!!! The Winchester based Friends of King Alfred Buses (FoKAB) has announced that the 2014 New Year's Day Running Day in and around Winchester will be the last one to be held on 1st January. Last days of the bus station and Silverhill redevelopment prompt a re-think - FoKAB will be creating a new formula for 2015. There will be just one more chance to sample the traditional New Year's Day on 1st January 2014, when more than forty elderly buses will take to the streets of Winchester. Souvenir Timetables are available in advance by post (for £12 post free) from: FoKAB, 13 Ashley Close, Winchester, SO22 6LR. Says FoKAB's founder and Chairman, James Freeman: "We have had enormous fun staging this very popular event every year - taking advantage of what was often a blank space in people's calendar to get people out after the Christmas holiday. But the world is changing around us and it's time to do something different. 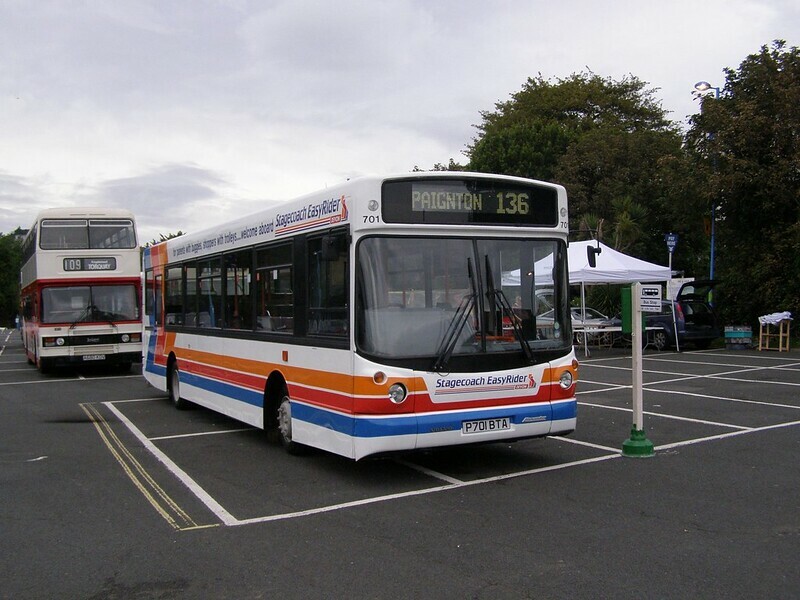 For many years now we have relied on the generous help of our friends at Stagecoach in making the bus station available to us to accommodate the many visiting buses needed to carry the huge numbers of people wanting to ride on the buses. Last year over 21,000 passenger journeys were made on the day! However, now that the days of the bus station are clearly numbered as the Silverhill redevelopment starts to look as though it will really happen, we feel it's time to stop and re-focus our efforts for future years". "So we are considering moving the day from New Year's Day to a time when the weather is kinder and with less risk of weather causing disruption or even cancellation (which has never happened so far!). The format will also need to change significantly to reflect changes in Winchester's development and traffic management and to focus more completely on the King Alfred buses, of which we are so proud". "The King Alfred buses will continue to appear in Winchester in the meantime and we will be back with an exciting new format that ensures the public can relive the best years of the King Alfred buses and their free rides to the full".